New surveillance figures confirm that whooping cough (pertussis) activity remains at raised levels in England. Public Health England (PHE) is calling for pregnant women to take up the whooping cough (pertussis) vaccine in order to protect themselves and their babies from this serious disease. New surveillance figures confirm that whooping cough activity remains at raised levels in England. New data published today shows that for the year to March 2015, whooping cough vaccine coverage in pregnant women averaged 56.4% in England. Recently published data on incidence shows that confirmed cases of whooping cough in babies under 3 months of age remain low, indicating that the vaccination programme is protecting young babies from birth. But the figures also show that, overall, reported whooping cough cases are still at raised levels in England, meaning that babies born to unvaccinated mothers remain vulnerable to the disease in their first few weeks of life. There were more laboratory confirmed whooping cough cases reported in 2015 to the end of June (1744 cases) than in the same period last year (1,412 cases). These totals remain higher than those observed before the whooping cough outbreak began, although they are lower than the numbers observed during the comparable period in 2012 and 2013. Whooping cough (pertussis) is an acute respiratory infection, which usually begins with mild, cold-like symptoms that develop over one to two weeks into coughing fits that can be severe. The cough can often last for 2 to 3 months. However, whooping cough can also be fatal, particularly in young babies before they are protected by their first dose of vaccine at 2 months. Pregnant women in the UK have been offered whooping cough vaccine since October 2012 in response to the national outbreak. PHE research discovered that babies born to women who were vaccinated at least a week before birth had a 91% reduced risk of becoming ill with whooping cough in their first weeks of life, compared to babies whose mothers had not been vaccinated. For the first time, the coverage figures are also reported by ethnicity to assist and inform local health teams in their planning to increase uptake. This investigational data shows that coverage varies significantly by ethnicity with the highest coverage observed in White-British, Chinese and Indian ethnic groups and lowest coverage in Black and ‘Other’ ethnic groups. The latest figures show that whooping cough is still prevalent in England and it’s important that pregnant women visit their GP surgery or midwife to get vaccinated, ideally between weeks 28 and 32 of their pregnancy. Being vaccinated against whooping cough while you’re pregnant is a highly-effective way to protect your baby in the first few weeks of their life. The immunity you get from the vaccine passes to your baby and provides them with protection until they are old enough to be routinely vaccinated against whooping cough at two months old. We encourage pregnant women to discuss the vaccination with their doctor or midwife at their next appointment. Babies too young to start their vaccinations are at greatest risk from whooping cough. It’s an extremely distressing illness that can lead to young babies being admitted to hospital and can potentially be fatal. Deaths in infants with whooping cough have reduced significantly since the introduction of the vaccine for pregnant women in 2012 so I encourage all pregnant women to take up the pertussis vaccine when offered. If you’re pregnant, you should also have a free flu vaccine to reduce the risk of complications and potential harmful consequences for both you and your baby if you catch flu. Pregnancy weakens the body’s immune system and as a result you may be less able to fight off infections, increasing the risk of becoming seriously ill and even premature birth as a result of flu. You can have the flu vaccine safely at any stage of pregnancy, so don’t delay asking your midwife or GP about this vaccine if you’re pregnant in the autumn and winter months. Two reports referred to in this release are available on the Public Health England website. 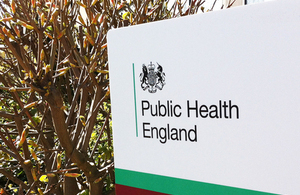 The Laboratory confirmed pertussis (whooping cough) in England data to end-June 2015 was featured in PHE’s HPR update on 28 August 2015. The prenatal pertussis (whooping cough) immunisation programme vaccine uptake report for England covering the period April 2014 to March 2015 is available. Whooping cough can affect people of all ages. The highest incidence occurs in infants under three months old, who are too young to be directly protected by routine immunisation and for whom the disease is often severe and even life-threatening. In the UK, a pertussis-containing vaccine (Pediacel™) is routinely offered to babies at two, three and four months old and a fourth dose is included with the pre-school booster (Infanrix® – IPV or Repevax®) when they are three-and-a-half years old. Further information about pertussis and the vaccination can be found on the Public Health England and NHS Choices websites.